Business cards maker software allows you to design and print professional quality business cards, visiting cards, membership cards and other types of commercial cards. Business card creator software designed and developed with advanced color and background settings including solid color, gradient, image and style settings to create colorful business cards. 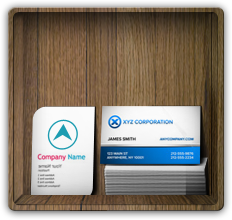 Business card software provides pencil, line, text, ellipse, rectangle, star objects and other card designing tools to create business cards in different shapes and sizes. Business card designer software provides inbuilt data set series feature to design business cards in bulk numbers. Business card creator software uses inbuilt color and background settings including solid color, gradient, image and style settings to design colorful customized business cards. 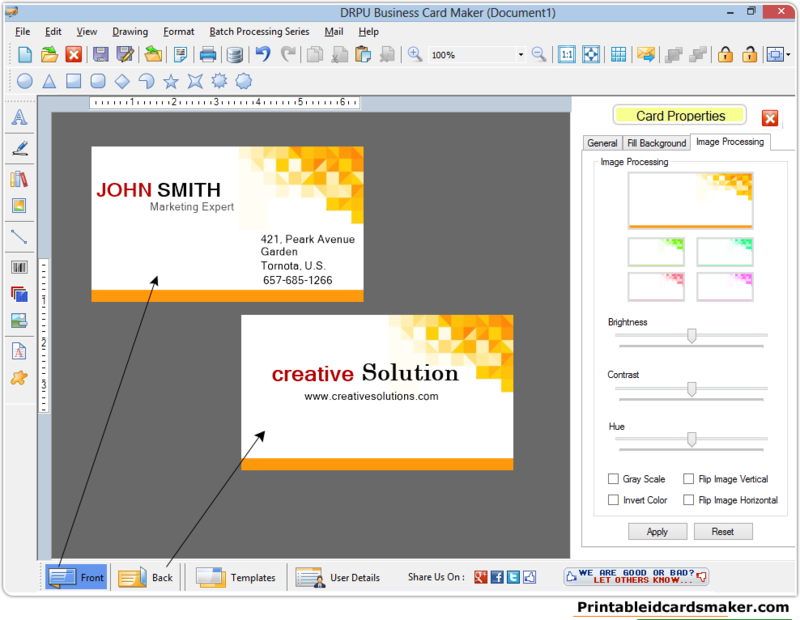 ◈ Business card maker software can design professional business cards in less time. ◈ Business card software has inbuilt printing settings to print designed business cards. ◈ Business card creator software is capable to design colorful business cards in different sizes as per requirements. ◈ Business card designer software has inbuilt card designing tools to create customized business cards. ◈ Business card generator software provides facility to modify created business cards or design new card. ◈ Business card making program designs business cards in different shapes including rectangle, ellipse and rounded rectangle. ◈ Business card software easily saves created business cards at any location on the computer for future reference.